How easy is it for the users of your app to submit bug reports, or to offer up a suggestions? As someone who has a long history with tech, it’s relatively easy for me to grab a screenshot, or create an animated gif to pass along, but do all of your users find it this easy? 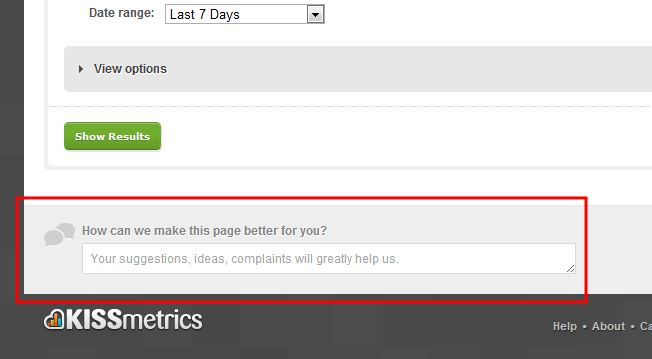 This week we’ll look at a couple of ways to make it easy for users to give you feedback at just the right time. 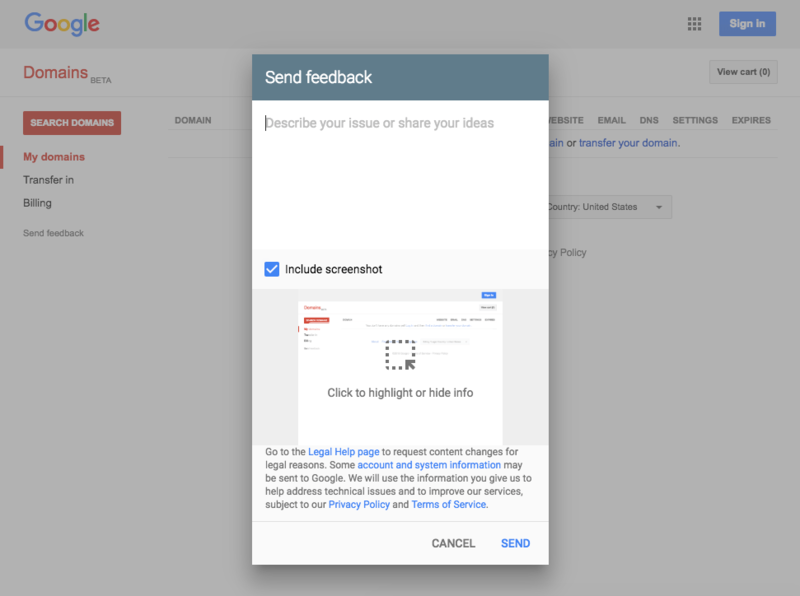 Here’s a really neat way that Google Domains allows you to send feedback within their app. They give you the ability to highlight anything on the page, or black out any portion of the page that has sensitive information. How cool is that! Once you’re finished, you simply click “Done” and the screenshot that is attached to your feedback is updated with your changes. What a neat way to collect feedback, or even support requests within your app! The micro copy they used here is amazing. What other approaches have you seen work in the past? I’d love to hear your thoughts. I don’t do comments on this site, but if you have thoughts, I’d love to hear them. You can email me at its@davemart.in.